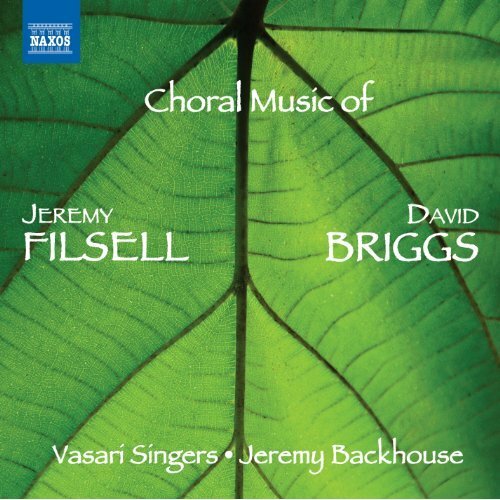 This new recording presents fresh new choral works by two of today’s best composers in the field of liturgical music from the current generation of British composers, Jeremy Filsell (b. 1964) and David Briggs (b. 1962). Except for one, all of the pieces on this CD are world première recordings, which in itself adds considerable value to this release. A previous review of mine for another Mass by David Briggs (reviewed here), serves as a very strong indication of what style of music you will hear on this new disc. Both composers share an affinity with the great Renaissance masters, in that they infuse their music with a sense of mystery and awe, but do it by using a completely different palette of harmonic colours. And it’s when they paint outside the lines that they create the best effects and music of breathtaking beauty. The Filsell Nunc Dimittis and the Briggs Agnus Dei for example, both attain expressive emotional depths without having to resort to cliché gestures or trendy tricks. Solid, logically worked out music with a beating heart. Both composers supply the role of organist in their respective works, which adds authenticity to the score, and the Vasari Singers under the direction of Jeremy Backhouse, certainly inject great fervour and expressive power within the music and in doing so, lift it off the printed page and bring it to life. Highly recommended for choral music fans looking for something new.